Write Formation: Amazon is at it Again! Amazon is at it Again! 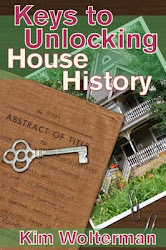 As I have mentioned in the past, I wrote an ebook entitled Keys to Unlocking House History, and it is available through smashwords.com and on Amazon through their Kindle Direct Publishing subsidiary. The ebook sells much better, relatively speaking, on Amazon. When I got home from the St. Louis Publishers Association meeting tonight, which was a great discussion about social media, I found this waiting to ambush me in my email inbox. During a review of your catalog, we found that one or more of your titles contain content that is freely available on the web. Copyright is important to us – we want to make sure that no author or other copyright holder has their work claimed and sold by anyone else. If, in fact, you are the sole owner of the publishing rights for the books listed above, please provide the URLs for all websites where you have previously published this or any other Kindle content. Please respond within five business days with the requested URLs so we can verify you have the sole publishing rights, or the books will be removed from sale in the Kindle Store. If the content of your book(s) are in the public domain, please confirm this and include the information you used to make this determination. 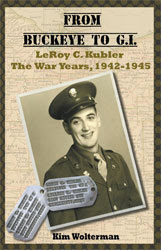 If you have already unpublished the books listed above, please reply with that information. We ask that you unpublish any other book that closely matches content that is freely available on the web for which you do not hold the sole publishing rights, or whose content is not in the public domain. If we discover any other titles you have submitted fail to comply with these conditions or do not meet our Content Guidelines in any other way, your account may be terminated. I don't even know how to respond to this. First of all, I must do so within five days, so the pressure is on. Second, I haven't published this information anywhere else on the web. Why would I have written a book if I had already put it all out on the Internet? So how do I prove I wrote this ebook if I cannot provide any urls to them? It reminds me of that old joke "When did you stop beating your wife?" There is no good way to answer the question. Time to Google the problem and see what other authors say. I can't believe I am the first to receive this email. I will report back with the resolution. Coupon Corner, apparently my response supplied them with enough information as I was notified that my book would remain for sale. You can read the response from Amazon in my June 18th post. Could you imagine what would have happened if you were away on vacation for 6 days, and didn't have internet service? Glad to hear the issue was resolved. Thanks for sharing your story. Stina, I know! I can't believe what they ask you to provide them with, and in such a short amount of time!